As China’s demand for imported cut flowers grows, every florist covets a share. Yet, many of them are grappling with the following questions: How to extend the vase life of these imported flowers? What to do to maximize sales and cultivate new high-end clients? The answers can be found in the 2019 China 'Florist Plus' Conference, which is now open for registration. Running from March 17th to 18th in Guangzhou International Sourcing Center, the event will be headlined by a slate of businessmen and women in the imported cut flower trade, ready to share their hands-on experience. To make sure this event will reach florists nationwide, the organizer is going to send out over 20,000 invitations. 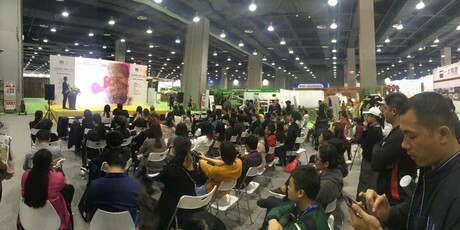 The best part is that the event will be absolutely free of charge, making it the biggest buyer-drawing feature of the co-located trade show China International Floriculture & Horticulture Trade Fair (Flower Expo China 2019). Tong Yao, Marketing & Sales Manager at Shenzhen Huijia Floral Design Co., Ltd.